A performer shows a matching set of cards that are cut in half. The magician then separates the halves into two face down groups. Next, our wonderworker shows a prediction of one of the cards and places it visibly to one side in a wallet. 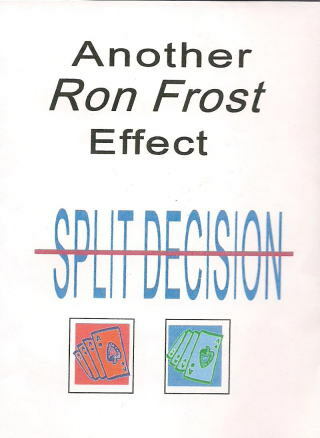 A person freely chooses (no force) a half card from one of the half card sets. Next, the person matches his chosen half with its mate from the other set. Finally, the performer reveals that he correctly predicted the matched set! This can be repeated with different cards every time.